So, last spring I bought and planted a two boxes of wildflower seeds from the Dollar Store -- one box was labeled as a "hummingbird mix" and another was a "bird and butterfly mix". Each box was 2 ounces of various flower seeds (containing both annuals and perennials) and each said it would cover 100 sq. feet. While I'll admit that I could have taken better care of the seeds last year, I didn't really get many plants or flowers. I had planted some zinnia seeds along with the 2 boxes of wildflowers and most of what I had last year were zinnias and cosmos. I did have a few other flowers grow and bloom last year, but not much. It was kind of a flop. This year, I didn't do anything with the area where I had planted the wildflower seeds last spring ... I let it just grow on it's own to see what, if anything, might come back. 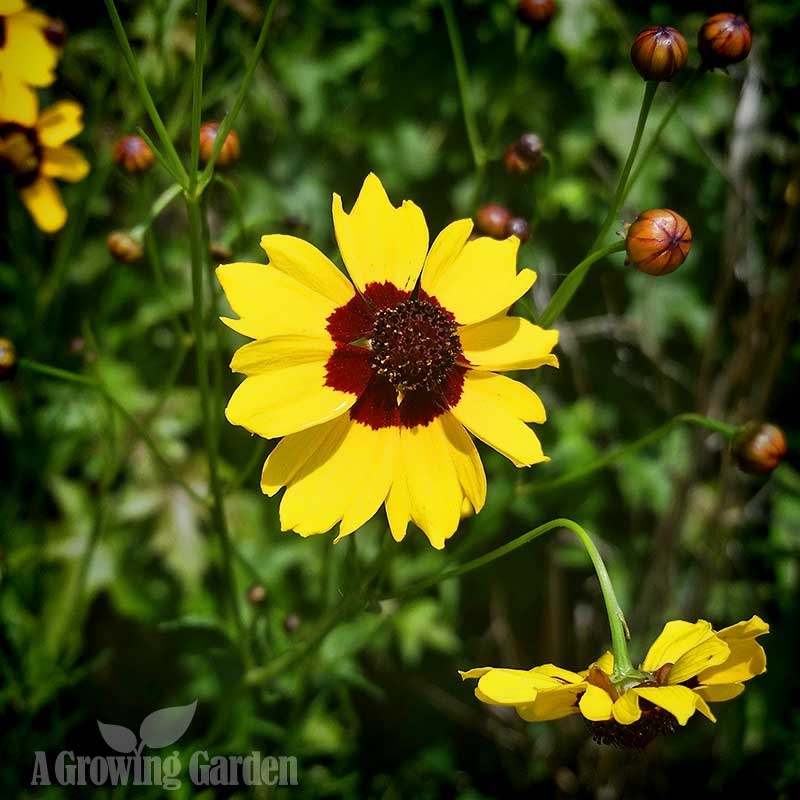 And, pretty much the only thing that came back was Coreopsis Tinctoria (also called plains coreopsis or golden tickseed). 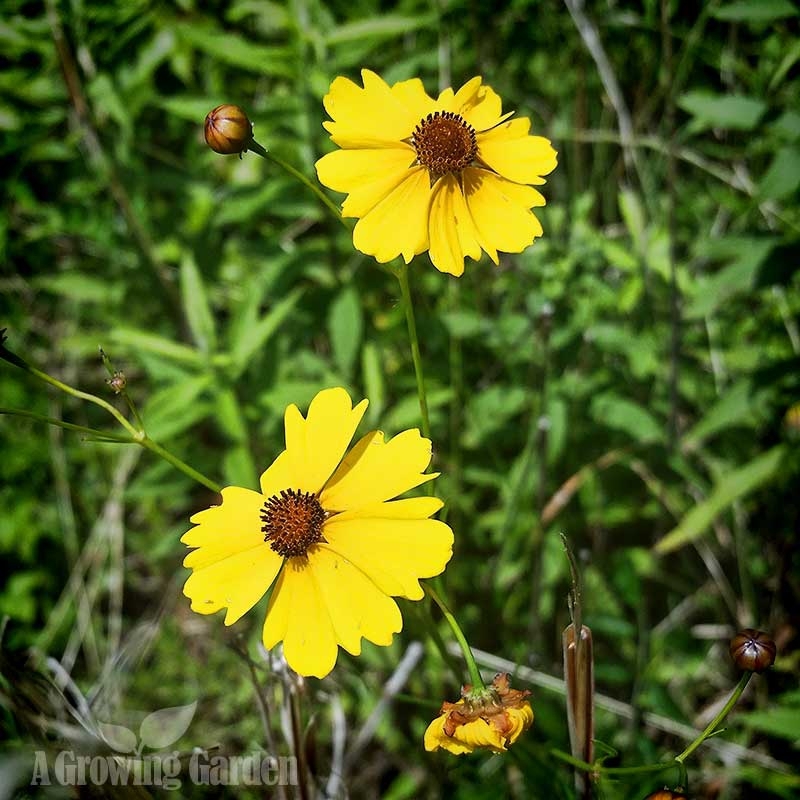 My plains coreopsis is growing rather well though -- it's pretty much all over the area when I planted the wildflower seeds last year and I hope that it will spread too (if you Google it, you'll find photos of fields and fields of it!). Although considered an annual, it can grow and bloom for a few years before dying completely and it re-seeds easily. While not super showy, it has pretty little flowers and it's nice and bright. 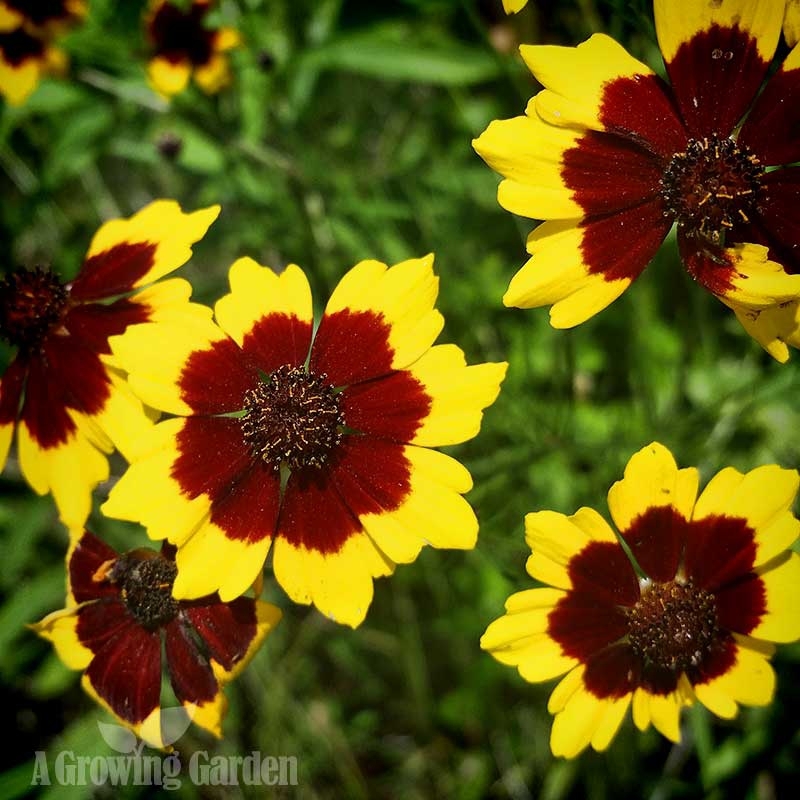 I must have a few different varieties because some are plain yellow, some are yellow with a bit of maroon/red in the center, and some are about half yellow and half maroon/red. 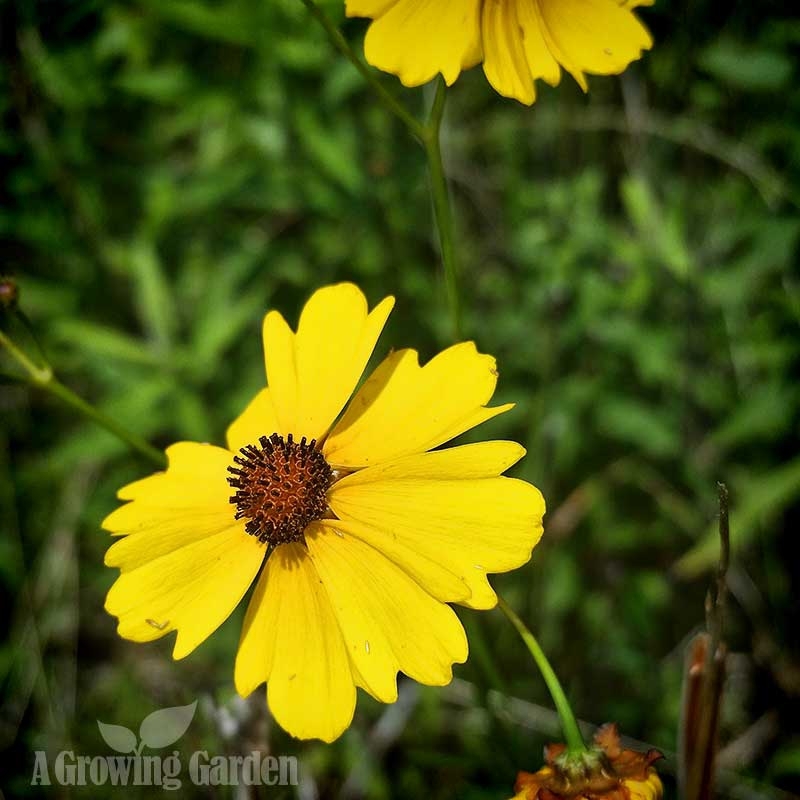 So, I spent a total of $2.00 last year on 2 boxes of wildflower seeds from the Dollar Store and have about 10-20 Coreopsis Tinctoria plants growing this year ... not great results, but I'll take it!